On sales and marketing, I would say now that it’s official. The fashion of the moment is that all those who want to sell their new (alleged) idea to triple the people’s business … communicate to potential customers that whatever existed until then is dead, permanently buried. They are doing all that in particular offer, in various capacities, products or services in web marketing and inbound marketing. Personally, I almost lost track of how many sales techniques and marketing strategies are now (supposedly) dead and buried. There is talk of high engineering search engine. Of course at each change of Google algorithm, the entire industry is shaking and there is no doubt that the “game” is becoming more difficult because it becomes more and more important to publish truly relevant content for your target audience. Well, apparently, if this is what you have to do … this means that SEO is dead. Since it does not work automatically and immediately just because you open a blog, then blogging is dead. Since now you have to write by learning what it means to copy and storytelling … and maybe even demonstrate expertise …. then blogging is dead. In essence, since it is not easy and it takes time, then it is dead. The catchphrase here is that your prospects do not want to hear. No matter if you have something interesting to say … Save it for yourself! Not “bother” because so much does not work anymore. it is practically impossible to call potential customers. They have no phones or whether they still do not meet them. Moreover, even if they meet do not pay any attention to you … so cold calls have died. This means that there are more companies or professionals who can call potential customers to offer something of value. This implies or leads to explicitly state that the seller who makes cold calls is dead and buried. Social media and inbound marketing are the ones that bring your potential customers to be desired continuously to call. Apparently this means that everything that the previous generation did or used to market their products / services no longer has any significance or does not work anymore. All they have learned and done successfully for years, no longer applies in the digital age and the digital generation. I’m really dead? Or is he just died on newspaper goes to press? The rest is still so in black and white … is so funereal. A friend told me this weekend that still read but it does on line only. I asked myself: “Damn, but what is it?” The fact that it is online means that it is a new medium or that is too dead? Everyone says it is now dead but all continue to do so. Truly a strange kind of dead. A real zombie. Come on, no one more clicks on a banner ad. 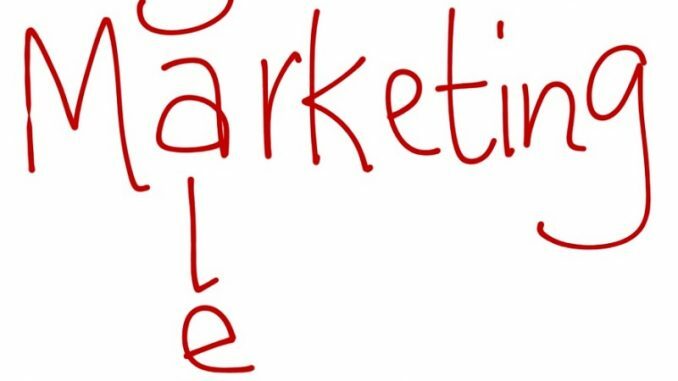 A pity that he died as one of the most effective forms of advertising on the Web today is the re-marketing …. Not even joking, TV is dead. Too bad that many data indicate that we are watching more TV than ever, and that never before have we been exposed to so many advertisements. Moreover, making a spot on one of the four major television networks is really hard, our attention is fragmented, the more and more distant television, all very complicated, more difficult because they serve many more steps to be visible …. So I wonder … if this is true, it means that is the TV is really dead? Careful because in the States, someone starts to say that inbound marketing is already dead for Account-Based Marketing. Good grief, but as here it has just been born. Here he begins to talk now to say that the seller is dead and the US has already died he too … really incredible! Okay, I took me a bit of irony …. but what I tried to tell you is that some techniques, some strategies as well as some tools occasionally, indeed, die. But this is a rare event. What happens more often is that sales and marketing as well as techniques, strategies and tools … simply … evolve. You may be among those who have tried some of the things above with negative results and then you could say that they are dead, so how could you be among those who use some successfully and profitably. But if you’ve never tried and tested personally then I give you some advice … laws, documented, listen, learn all you can about sales and marketing, then carefully consider what can be more useful and effective for your specific business. What are the questions that I Increase Revenue?